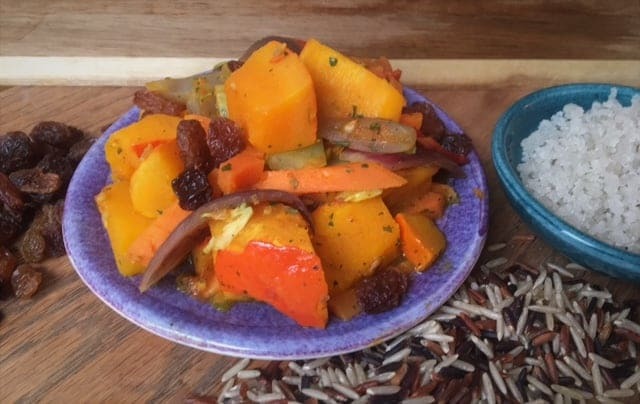 Trick or treat goes healthy with this Halloween Special: Pumpkin-Cabbage Stew, served with wild rice, served on our new, exclusive Mateus Ceramics designs. Let the party begin! Cook the wild rice according to the package and put it aside. Put the garlic, onion and olive oil in a deep pan, on medium fire and cook until the aroma comes together. Serve (in the context of the Celtic tradition) with Celtic sea salt and wild rice.